Hope Ihesiaba and his brother, Ifeanyi, have been arrested by the men of the Nigerian police for their alleged involvement in production of fake Naira notes and a syndicate. Punch Newspaper reports that the Ihesiaba brothers, who are members of a syndicate that produces fake Naira notes, were nabbed on Oluwakemi Street, in the Ojodu Abiodun area of Lagos State. 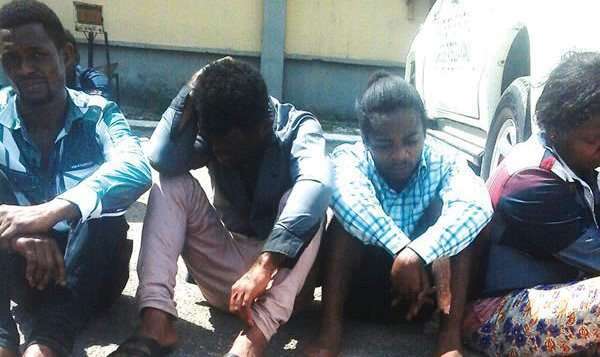 It was further reported that the suspects were arrested by the Isheri Police Division on Saturday, May 28, 2016 after the police were tipped-off by a trader who alleged that the suspects spent fake N1,000 notes at her store and the operatives swung in on them. 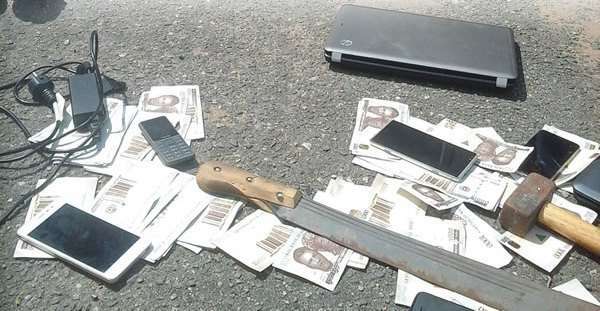 80 pieces of fake N1,000 notes - amounting to N80,000- two laptops, a sledge hammer and a cutlass were said to have been recovered from the suspects’ house after a search was conducted before their arrest. However, Hope Ihesiaba denied producing fake Naira notes saying, it was his friend, Odiyi, in Aba, Abia State who was involved in such illicit act. The 33-year-old suspect said, “I do not produce fake naira notes. I have a friend who does that. His name is Odiyi, and he sells in a market in Aba." Meanwhile, the police had reportedly launched a manhunt for Odiyi, the Aba trader, who is alleged to have been producing the fake notes. The Lagos State Commissioner of Police, Fatai Owoseni, confirmed the arrest saying investigation is currently ongoing.